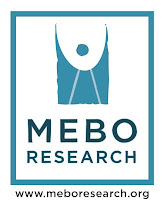 A member of our community brought this article to my attention, as it depicts the initial driving force behind the founding of MEBO Research. There are many parents in our community, and many who will be parents in the future. If all or most body malodor and halitosis conditions are genetic in nature, we need to think of our future generations - our children, grandchildren, great grandchildren... What are we leaving them? More of what we got? We shall find research funding sooner or later! We won't give up! Fantastic Work Maria. You give us hope!